Feeling overwhelmed by your stuff? Here's how to make your things more findable and easier to put away. Getting your home organized is a great feeling, but figuring out where to start can be overwhelming. 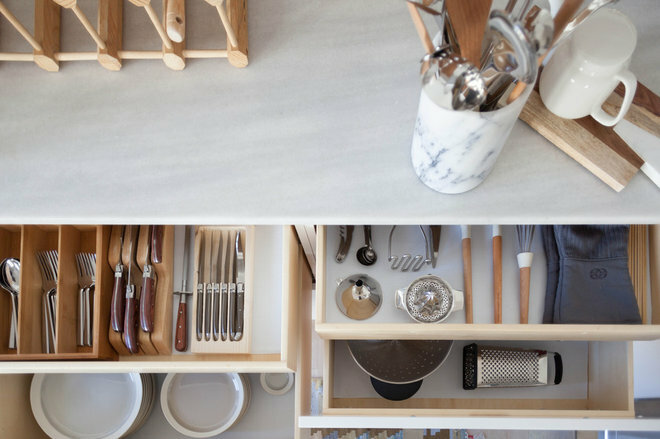 Keep the process simple by zeroing in on these 8 principles of organizing, which can be applied to any space, anytime. 1. Get to know active vs. passive zones. 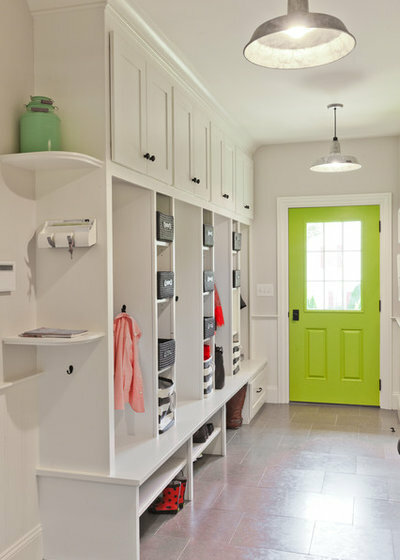 Active zones are the spots in your home that you pass or touch daily (usually multiple times a day), and include the entryway, top drawers and eye-level shelves and cabinets. 2. Make open storage beautiful. 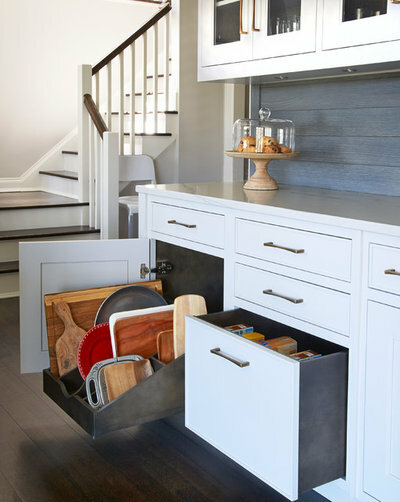 Every home can use a combination of open and closed (i.e., hidden) storage. 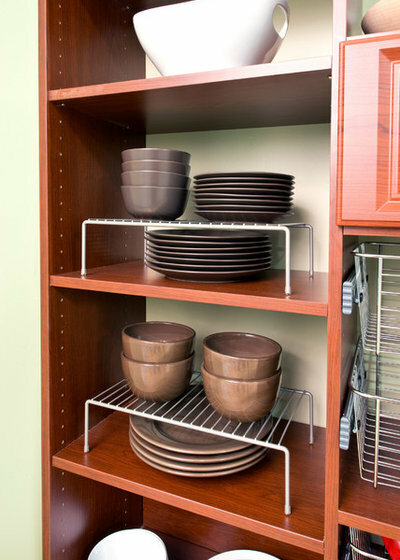 But what you choose to store on your open shelving should be visually pleasing. 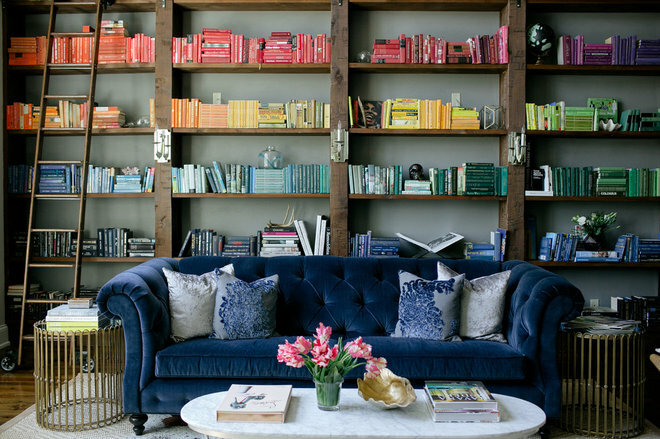 In the living room, this is a good place for books (arranged by color if you’re feeling artsy) and pretty objects, not beaten-up board games and stacks of video games. Likewise in the kitchen, open shelving is the place to put your matching sets of clear drinking glasses or favorite teacups, not the plastic food storage containers. 3. Keep things findable. Out of sight, out of mind is an especially apt expression when it comes to organizing. 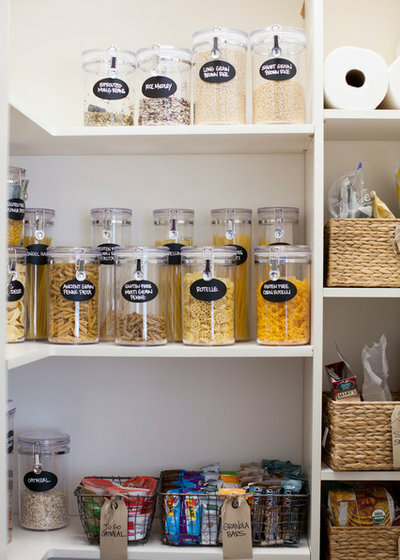 Clear containers are ideal when you want to be able to see the contents at a glance, and open baskets can corral loose items while still letting you look inside. 4. Group by task. I think of this as the first-aid kit phenomenon: When you need a Band-Aid, you may also need some antibiotic ointment, maybe some tweezers to remove a splinter, and a gauze pad; in a first-aid kit, everything you need to complete the task of caring for your injury is conveniently located in one place. 5. Subdivide and conquer. Wide-open drawers are an invitation to clutter. 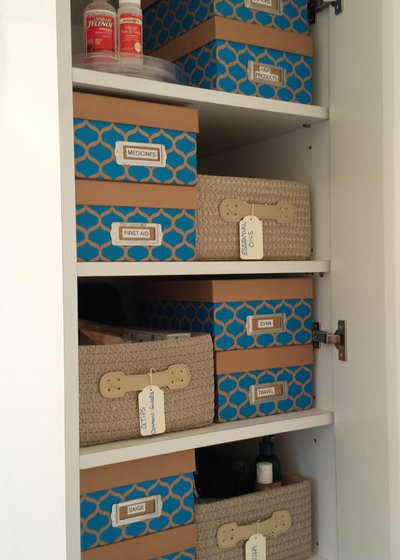 Anytime you have a drawer where you’ll be storing small items, use a drawer organizer. Use them for cutlery in the kitchen, office supplies in your desk, small and useful household items in your junk drawer, and daily essentials (sunglasses, keys) in a drawer near the entry. 6. Go vertical. What happens when you go for something at the bottom of a pile? That’s right, it topples. 7. Choose the right container for the job. It can be heartbreaking to find that some of your most precious items – old family photographs, Grandma’s wedding gown – have been ruined thanks to improper storage. 8. Store heavy items down low. You should never have to balance on a stepladder while trying to lift something heavy.